Yes, we really are the best. Contrary to popular belief, being a Philadelphia sports fan is the best fan to be, and there are multiple reasons why. 1. We all got what we all need. Each Philadelphia team has made a name for themselves in order to push them to succeed. 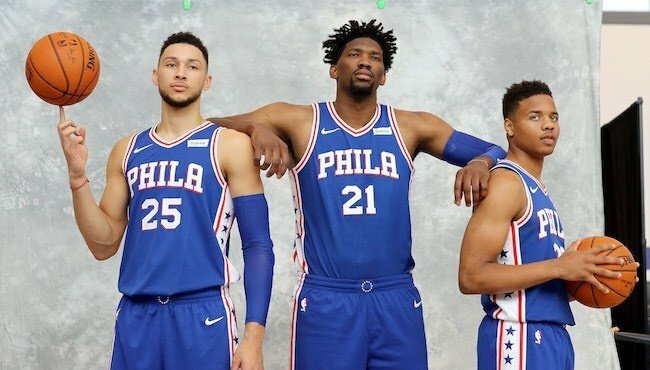 The Eagles' "underdog" title led them to their Lombardi trophy win in 2018, the Flyers are known as the "Broad Street Bullies" for their aggressive gameplay, the 76ers fans are being told to "trust the process", and the Phillies are most well-known for their mascot, the "Phanatic". 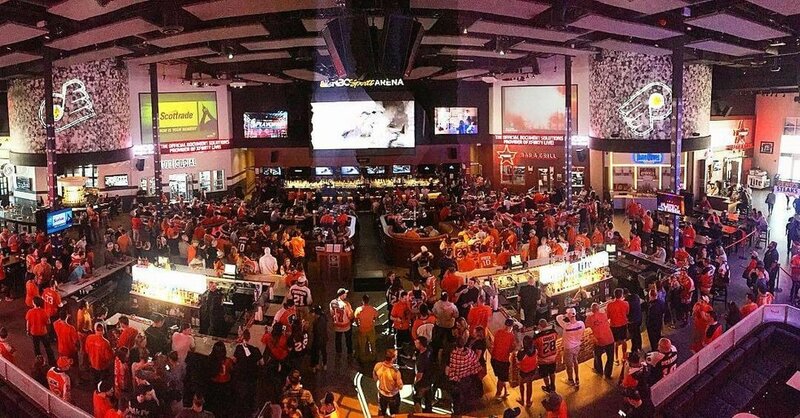 Although there are dozens of sports bars to watch the games in Philadelphia, Xfinity Live! is the most popular. This sports bar is on the same block as the stadiums, complete with multiple televisions on every wall, dining and drinks, and a mechanical bull! This bar is the place to be if you want to experience the atmosphere of dedicated Philly fans on game day. 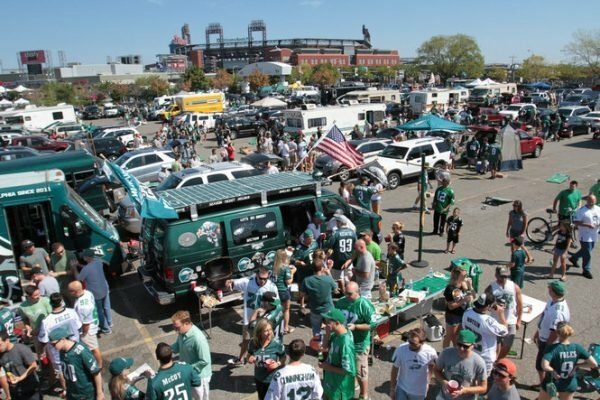 Citizens Bank Park, Lincoln Financial Field, and the Wells Fargo Center are all extremely close and share parking lots, turning a small tailgate in the back of a truck into a full-out pregame for fans attending the Eagles and the Flyers game at the same time! 4. We have the best mascots. The Phanatic is the most well-known and goofiest mascot in the MLB. We recently added the Flyers' mascot "Gritty" to our Philly Pham, and he is getting more attention than anyone could've imagined. There is no other city in the country that incorporates the history of the United States into their sports like Philly does. The Phillies have a giant liberty bell that lights up and "rings" every time they hit a home run, and we can't forget that our football team is named after the bald eagle, the official symbol of the U.S.
6. Being a part of the chaos. Being a Philadelphia sports fan means dedication to the chaos. 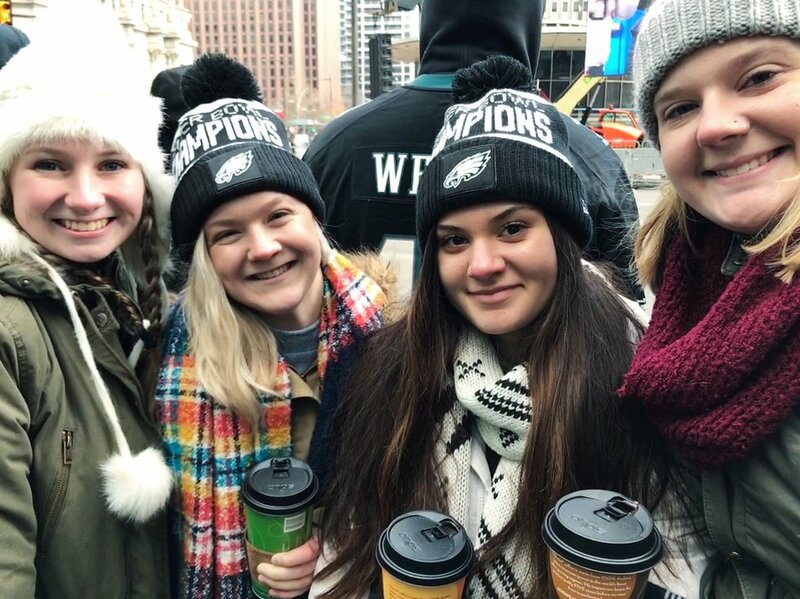 This means being willing to wake up at 4 A.M. days before to buy train tickets to get to the Eagles Super Bowl Parade, and getting to the station at 5 A.M. the day of the parade to stand in below freezing temperatures packed in crowds of people for four hours, just to see your favorite players for 30 seconds.